Każdego dnia podczas Fan Week, pierwszy klient, który dokona zakupu DJI Mavic 2, otrzyma plecak i czapkę DJI. Guests can also pick up exclusive gifts when they get reservation tickets by registering on this event webpage or invited to the store. Quantities are limited and will be distributed on a first-come, first-served basis! The earlier you visit stores to exchange your ticket for a gift, the bigger surprise you will get! Fan Week will also include a raffle where you can win great prizes. Just make an online reservation on this webpage, or post a photo or video of new products on social media. Raffle tickets are limited and will be distributed on a first-come, first-served basis! 1. Each person is limited to one raffle ticket only. 2. Winners will be contacted by DJI staff after the Fan Week event. 3. Winners can collect prizes at the specified ARS store as informed within two weeks after the prize notification. 4. DJI reserves the right of final interpretation of the event. 5. DJI Hong Kong Flagship Store will not participate in the Raffle campaign, which will change to the top 7 spenders who share on social, with the highest single transaction value, will receive special prizes listed above. Upon purchasing DJI Care Refresh for the Mavic 2, and showing photos and videos of the new drone on social media with a hashtag #djicare, you will acquire a DJI Care Refund raffle title. 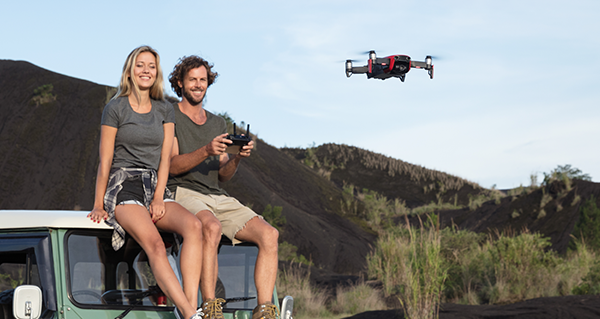 One lucky winner in each store will get a 100% refund*of their DJI Care Refresh purchase! 1.Corporate purchases are not eligible in this promotion. 2.Refund does not include taxes. 3.Limited to Fan Week participating stores only. Only available for stores in the U.S., Canada, EU countries, Japan, Taiwan, and Mainland China. 4.Please note that this raffle in the DJI Hong Kong Flagship Store will change to the customer with the highest single transaction spending will receive a 100% refund on their DJI Care Refresh. Learn more about the Mavic 2, Mavic 2 cameras, aerial photography, and more from our professional pilots to inspire your next flight with DJI!